Patrick, don't you love the smell of fresh scones? I watched last night's finale at my parents' house with my mother, because they have DVR and I wasn't going to be home until 8:45 (and as I type this I'm realizing that there's no way for me to spin this to make watching Dancing With the Stars with your mother acceptable so I might as well just stop right now). What made it ever worse was that my very masculine and possibly mob-affiliated cousin Teddy called my mother while I was over there to ask about Thanksgiving and she had to tell him that I was watching the show with her and not Monday Night Football with my very hairy father. My dad sat down with me at the beginning of the show and asked, "You watch this?" which was really rude coming from a guy who not only watches Chelsea Lately but also KNOWS that I blog about it. When I reminded him of that, he told me "Oh yeah, you have to show me how to get to that website," a feat that will probably take three separate sit-downs at about a half an hour apiece. When learning at the computer, my father insists on sitting at the keyboard with the mouse in his hand clicking like a madman while I pull my hair out and insist I'm never doing this again. 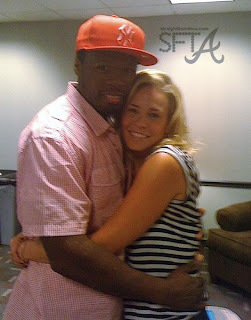 Chelsea Handler and 50 Cent are currently dating and I'm not kidding. Anyway, apparently the DWTS Finale is TWO EPISODES LONG which shouldn't be that surprising considering DWTS always has episodes on Monday and Tuesday, but for some reason, I felt disrespected by Tom Bergeron for not knowing how the finale works. By the time I got to my parents' house at 8:45, my mother had already voted for Kyle the maximum of five times after being devastated that Brandy was sent home the previous week. The fact that my mother can operate a telephone AND a DVR remote was very impressive. The show itself offered little surprises or excitement as the three judges visited the contestants during their rehearsals. It was nice to see Len teaching on the dance floor and even nicer to see Bruno in casual attire with his shirt unbuttoned a la Simon Cowell. My mother insists that CarrieAnnInaba (one word) is pregnant, despite the fact that her belly hasn't grown at all in the two months since my mother has made this claim. I did however find out that Kim Zolciak from The Real Housewives of Atlanta is pregnant by that guy from the Atlanta Falcons that she met at Sheree's Sabra Dancing With the Stars of Atlanta charity event. If my cousin Teddy ever finds this site and reads that last sentence, he will shank me. The real highlight of the show came during the freestyle performances when Kyle and Lacey Underalls did The Tootsie Roll, a song and dance peppered with nostalgia in my brain. At the Lower Merion High School Homecoming Dance in 1994, I tootsie-rolled with Kobe's 6'2" sister, Shaya Bryant, while her 6'9" boyfriend who would later play basketball at LaSalle towered over me. 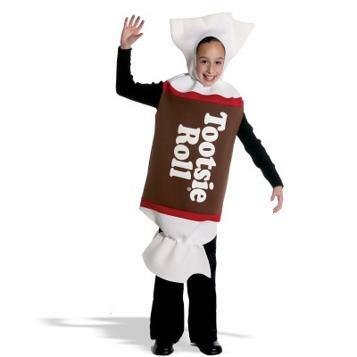 Shaya would later write in my yearbook that she would never forget that Tootsie Roll. She also wrote her entire me$$age with dollar $ign$ instead of S's like thi$, an act she may regret even more than the dance itself. This kid has had every piece of Halloween candy that he's ever gotten stolen by another kid. Also, this might be a girl. Following Kyle's Tootsie Roll, Len declared that he's "not a great fan of the bugaloo dancing" which HAD TO BE RACIST, but everyone laughed so I guess it was okay. Later, CarrieAnnInaba compared him to Emmitt Smith which was definitely racist. The Pistol continued her improbable run by doing absolutely nothing worth blogging about while Jennifer Grey received nothing but perfect scores despite being the world's most annoying person. She even pulled out the Dirty Dancing card by performing a dance to some song from the movie, but not THE DANCE with Patrick Swayze because that song "belonged to me and Patrick." Well Jennifer, it doesn't belong to you guys anymore because Patrick is dead. Overall, it looks like my preseason prediction of Jennifer winning is coming to fruition. I expect a VERY DRAMATIC acceptance speech tonight that will probably include her weeping and could possibly provide a few more headlines tomorrow of people shooting out their televisions. Thanks Sheryl (and Bruce). Also, there's no way Bruce finds any of this amusing. And no folks, it's not Bruce Jenner. How do you watch this crap? I rather watch Kanye West's short film.......twice! It's time to toast to you Schmoop! ......Let's have a toast for the Schmoopies, a toast for the Monners, let's have a toast to the Revruns, everyone of them i know! Let's have a toast to the Fittapaldi's that'll never take work off! DWTS: Week 9 - See Ya Brandy (and Maks)! DWTS: Week 7 - See Ya Foxy!